Guess who’s back?! its Mighty Mouth with Kim Jong Kook’s Soya! Their song has an electric backbeat with Soya’s beautiful vocals and Mighty Mouth’s extremely talented rapping ! 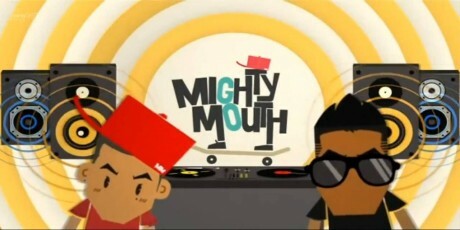 The music video has a cute intro with little Mighty Mouth characters. Watch the music video and leave any comments about it in the comment box for feedback! Listen to their new song and support Mighty Mouth! This entry was posted on February 1, 2011 by J4Key. It was filed under New releases/ CD covers/tracklists and was tagged with comeback, mighty mouth, Sistar Soya. um… why is it “SIstar’s” Soya? it’s kkim jong kook’s neice soya not sistar’s soyu.